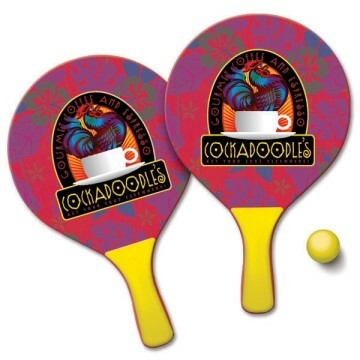 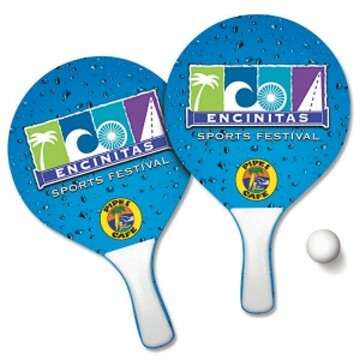 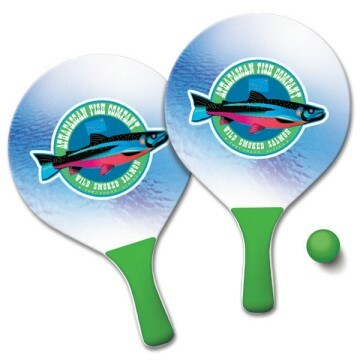 The handle color of the Beach Paddle indicates the color of the ball. 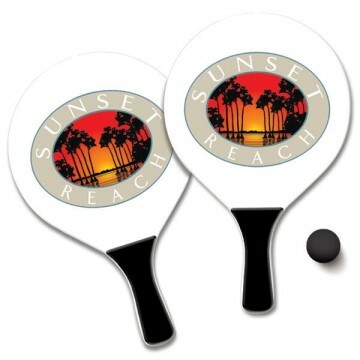 On the left is the white handle beach paddle that comes with a white ball and on the right is the black handle paddle that comes with a black ball. 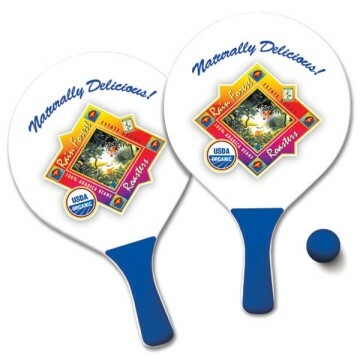 Left picture pictures the blue handle with the blue ball and on the right is the yellow handle with the yellow ball. 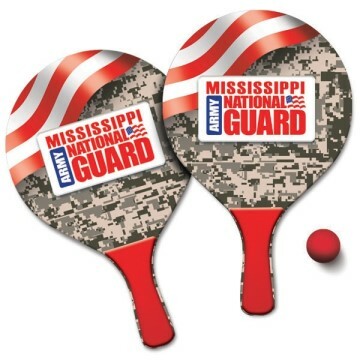 Left picture shows the red handle with the red ball and on the right is the green handle with the green ball.